MEXICO CITY, April 19, 2015 - UNAM's Pumas Ismael Sosa (L) vies for the ball with Santos' Carlos Izquierdoz during the match of Closing Tournament of the MX League, held in the Olympic University Stadium in Mexico City, capital of Mexico, April 19, 2015. 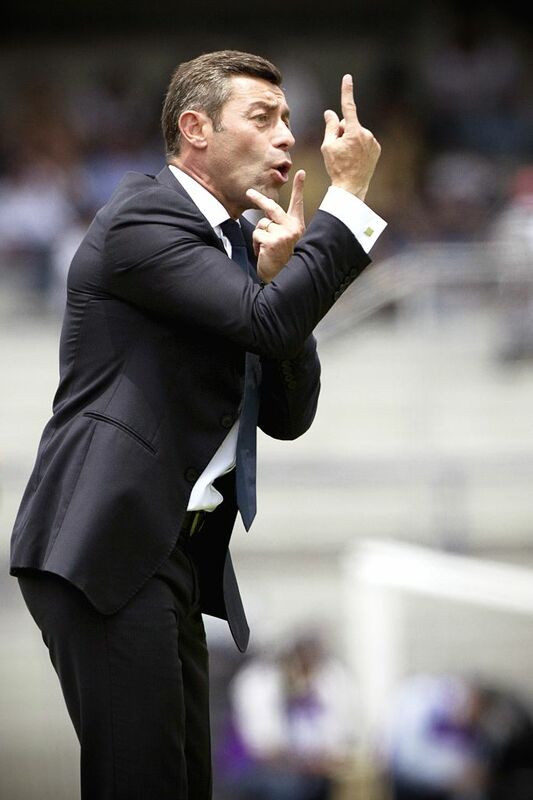 The coach of Santos Pedro Caixinha reacts during the match of Closing Tournament of the MX League against UNAM's Pumas, held in the Olympic University Stadium in Mexico City, capital of Mexico, April 19, 2015. 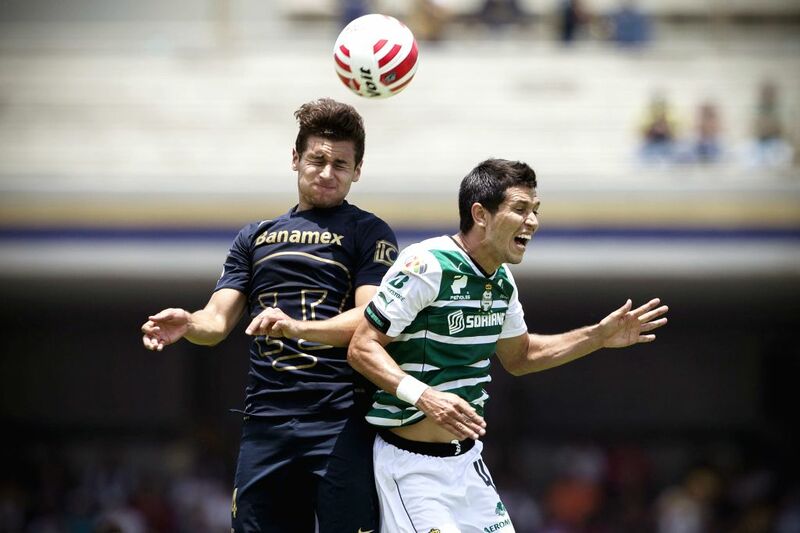 UNAM's Pumas Omar Islas (R) vies for the ball with Santos's Jose Abella during the match of Closing Tournament of the MX League, held in the Olympic University Stadium in Mexico City, capital of Mexico, April 19, 2015. UNAM's Pumas Kevin Escamilla (L) vies for the ball with Santos's Jesus Molina during the match of Closing Tournament of the MX League, held in the Olympic University Stadium in Mexico City, capital of Mexico, April 19, 2015.